It’s looking like we’re going to have great weather for Easter … possibly nice enough for an outdoor Easter brunch. 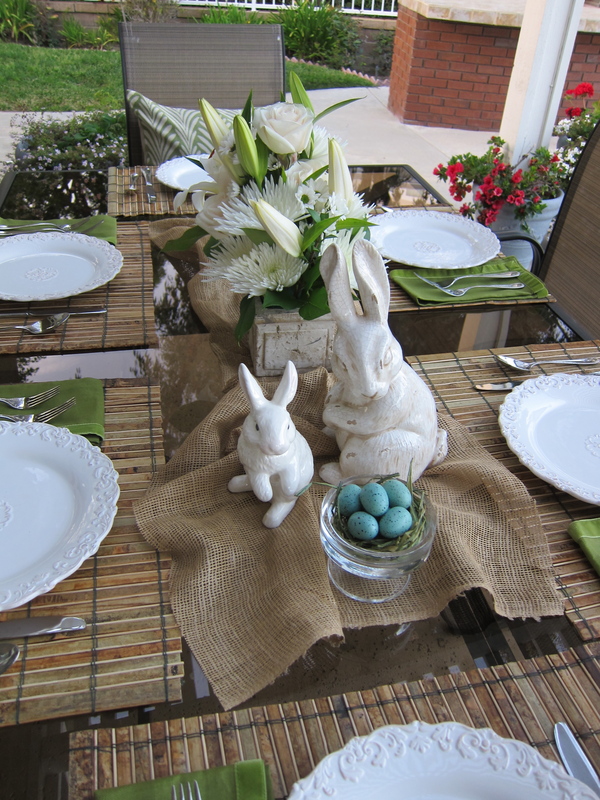 I’ve included a few ideas and pictures of casual tablescapes for Spring and Easter. 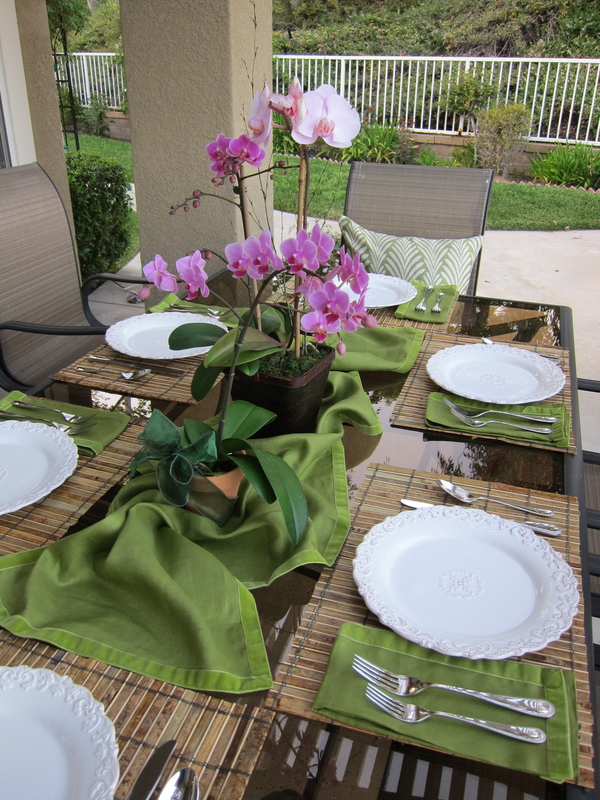 When creating a tablescape, you want to select a theme. 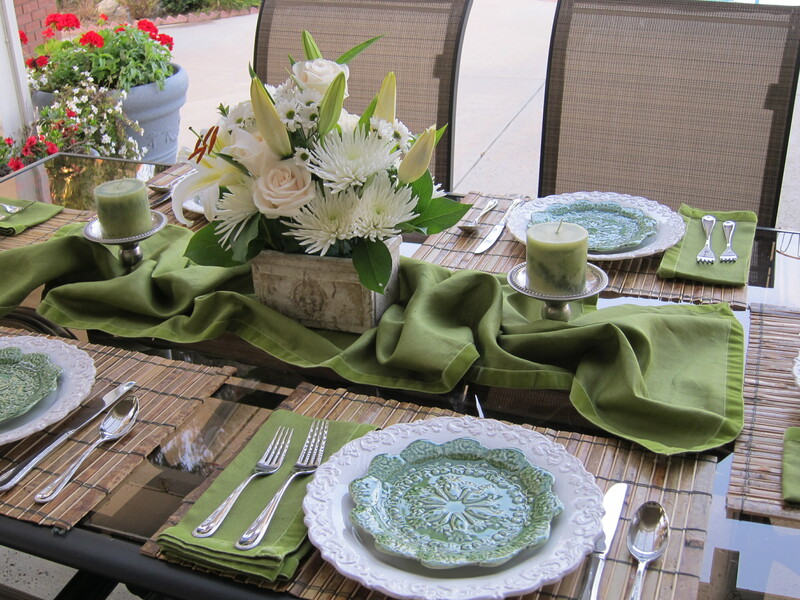 By using linens, plates, glassware, flowers, candles and decorative items you can create a great tablescape for any season. 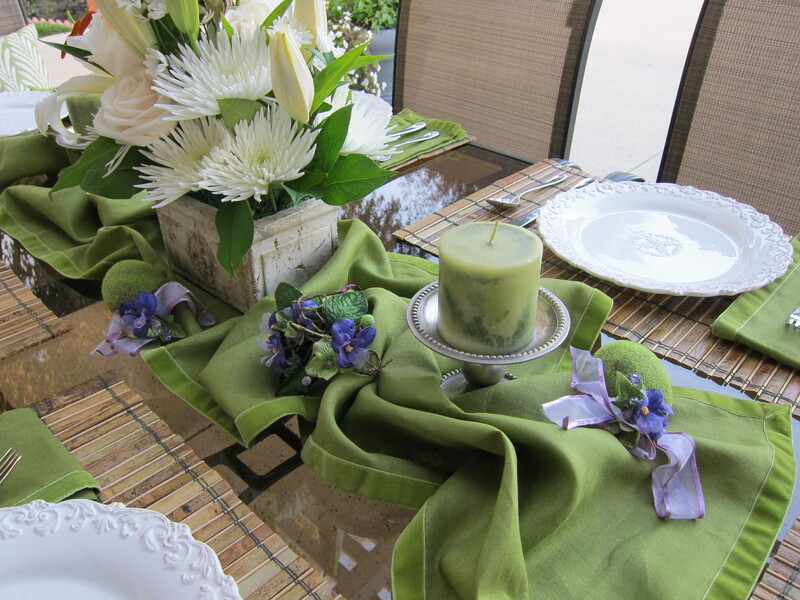 I recently purchased the green linen table runner and napkins from Pottery Barn (on sale, of course!) This year I wanted to create a casual and more natural looking spring tablescape. 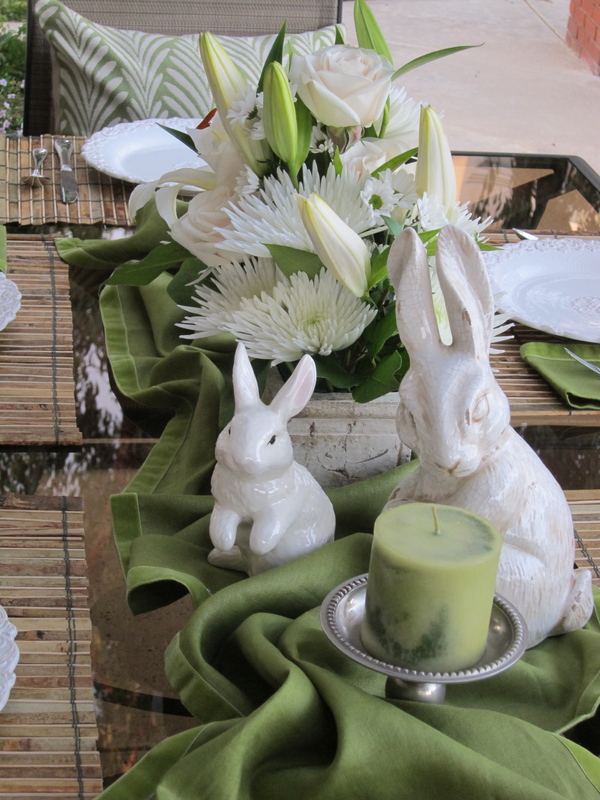 By adding ceramic white bunnies, the tablescape is an Easter setting. I experimented with moss eggs decorated with purple ribbon. And added my green carrot salad plates for a slightly different look. 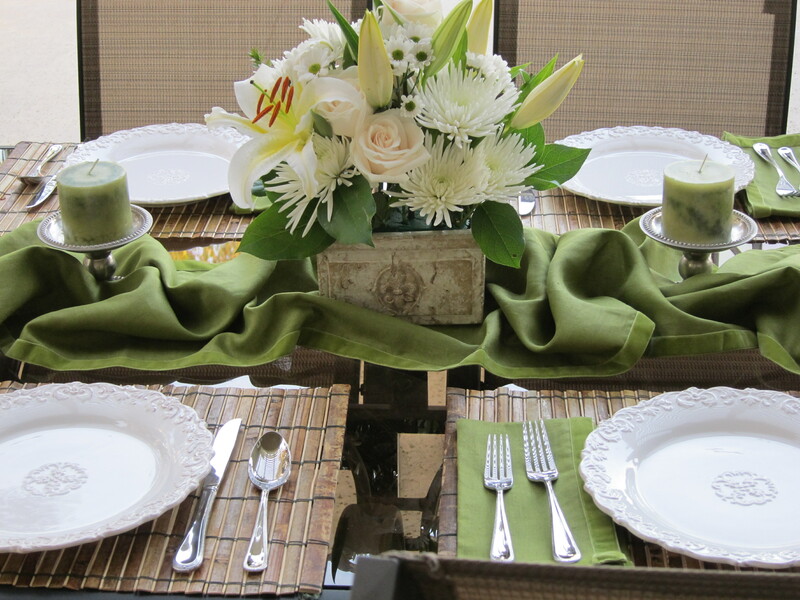 Here are a few other modifications using a different table runner and changing out the flowers. I collect items all year round for my tablescapes. I make a point of visiting Pottery Barn often near the end of season, as they have some GREAT deals and some interesting ideas. 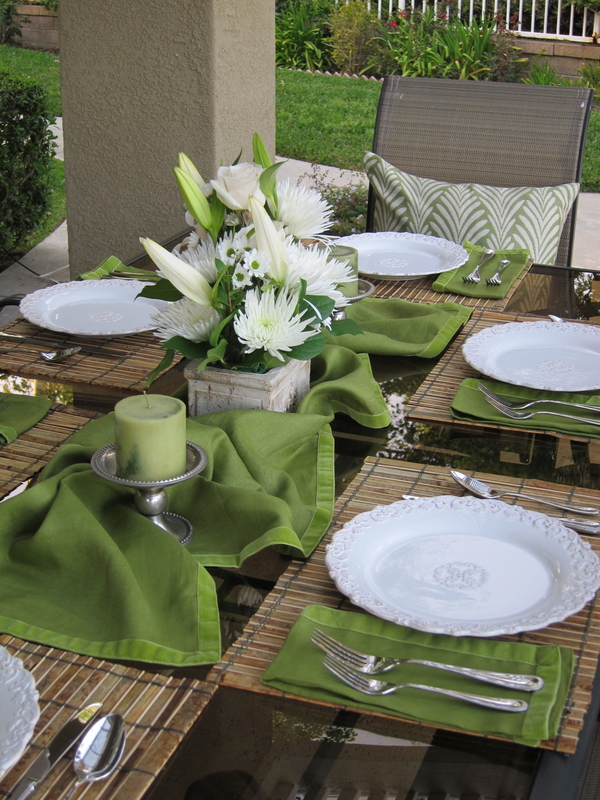 (I bought the green linen napkins for $1.29 each). I also visit places like HomeGoods, Marshalls, and other discount stores early in the season (e.g., December for Valentine’s Day decor). I love a bargain! 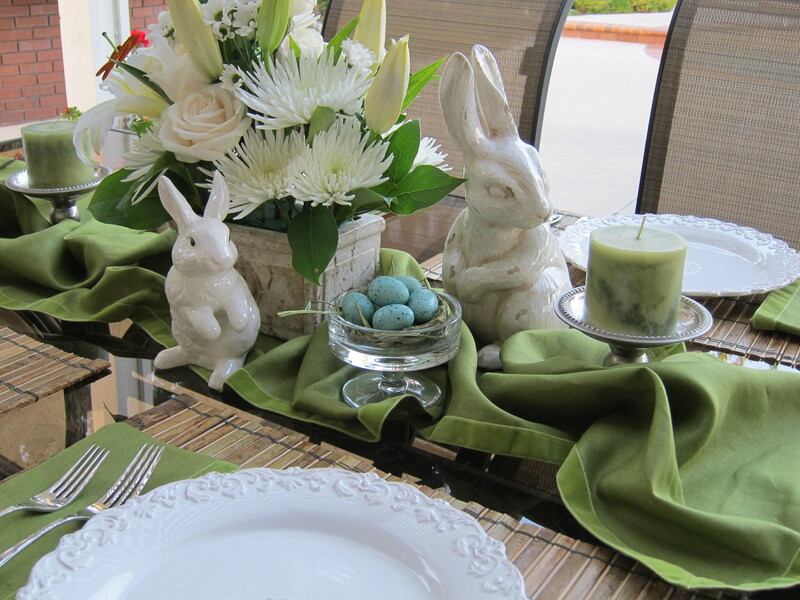 Love the table settings for Easter, gives me new ideas for next year. Thanks!